Magnets attract and repulse in amazing ways. 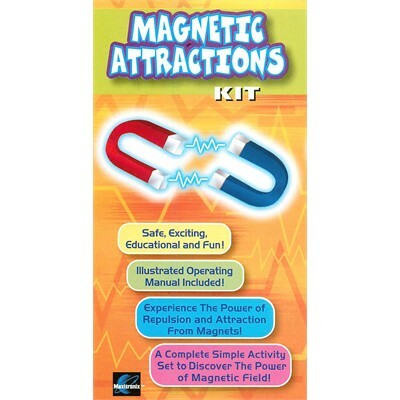 This kit includes several types of magnets, and instructions for 6 fun and easy activities to use them. Exciting and educational. Learn about magnetism. Follow the easy instructions. Have fun with magnets. All necessary parts included. For ages 8 years and up.